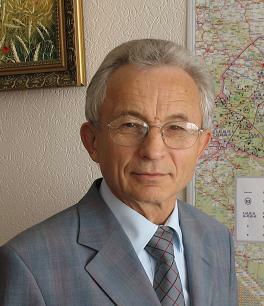 He was born on July 7, 1942 in Pidsynivka village, Volyn region, Ukraine. 2003-2013 – the author of scientific works in Ukraine, Netherlands, France, Switzerland, Great Britain and Russia on digital terrestrial TV. 2006 – got the IBC-2006 Conference Award for the best Technical Papers. 2009 – the author of the book “DTT television. Practice, New Tendencies of DTT Development and Creation of DVB-T Networks”. 2015-present – the Head of NGO Guild of independent experts in information sphere. Non Government organization “Guild of independent experts in formation sphere” was established in 2013. The main goals of the organization are human rights and freedoms protection, supporting cultural development, traditions preservations, protection of the Ukrainian language which are creating foundations for state development and civil society progress. cooperation with organizations, enterprises and media from different countries, international associations, which are operating in the industry.